The Kansas City School Board discusses adopting a former policy on charter schools at its Aug. 26, 2017 meeting. New election maps could change the balance of power on the board after the April 2019 election. A state-mandated redistricting of the Kansas City Public Schools Board of Directors could result in a complete turnover of seats next spring, injecting uncertainty during a period of relative stability for the district. Most Missouri school boards have seven members, and a 2013 law requires the nine-member KCPS board to eliminate one sub-district and one at-large seat by April 2019. Because all seven seats will be open at the same time, it’s possible voters will install an all-new board. Instead, it's the Kansas City Election Board, which has hired consultants to redraw the sub-districts. The consultants are expected to present preliminary maps at the Wednesday, May 9 school board meeting, 6:30 p.m. at the Board of Education, 2901 Troost Ave.
Fierro represents sub-district 3, which includes Coleman Heights on the West Side, part of downtown and the Historic Northeast. A civic-minded guy, he is president and CEO of the Mattie Rhoads Center and has served on a number of boards and commissions, including the parks board and the Housing Authority. So when Fierro says he’s impressed by his fellow school board members, it’s because they really do work well together. “Everybody’s very dedicated, very committed. While we have differences of opinions on various issues, everybody is focused on the same result, and that is improving the school district for our children,” Fierro said. That’s why the redistricting has some education policy watchers nervous. After years of declining enrollment, the number of students in KCPS ticked up slightly last year. The district regained provisional accreditation from the state in 2014 and has been making small gains under the leadership of Superintendent Mark Bedell. 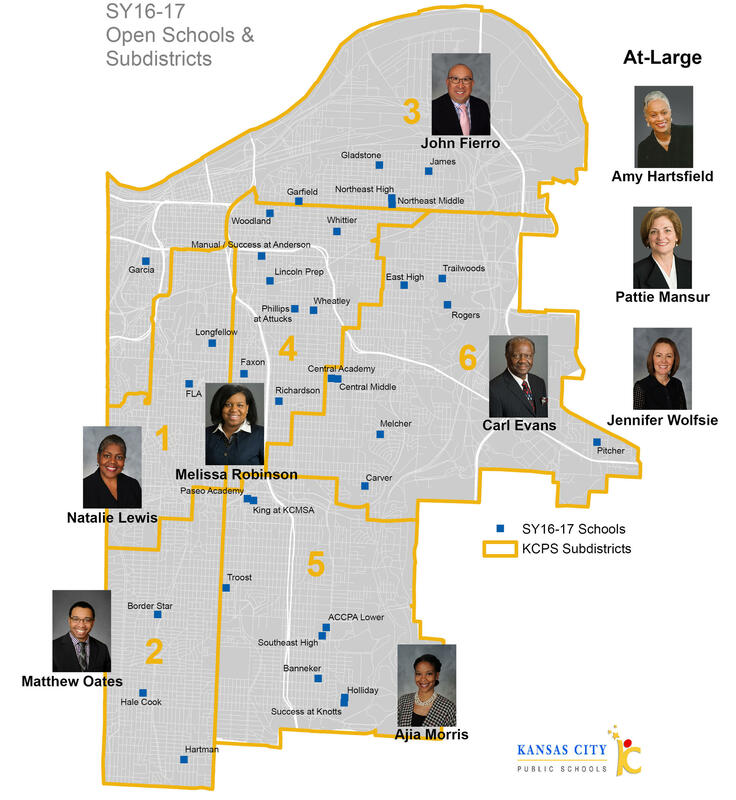 The current Kansas City Public Schools Board of Directors has nine members. The new board will have seven — five sub-districts and two at-large seats. That could all change with a new school board. Turnout is always higher in mayoral election years, especially among white voters. Most of them don't have kids in the district – KCPS is 54.7 percent black and 28.6 percent Hispanic. So depending on how sub-districts get drawn, high turnout among white voters could result in their outsize influence. It's a real concern in a district where majority-white school boards have historically made decisions on behalf of students of color. There’s one more thing to watch out for in next year’s school board election: money, especially if it flows in from outside the metro. That’s what happened last spring in Los Angeles. In one of the most expensive school board elections to date, candidates with ties to charter schools picked up two seats and gave proponents of school choice an edge. And that would be a significant change in a city where KCPS only recently signaled it was ready to compete with the charters that draw families away from its schools. Most cities have a school system. 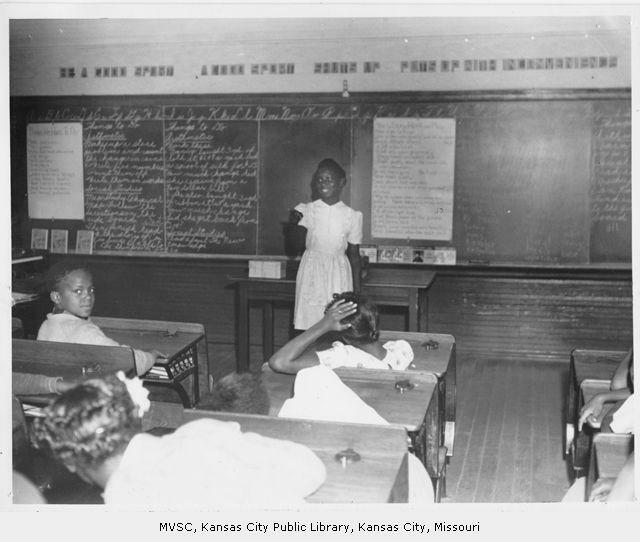 Kansas City has a system of schools. It’s an important distinction in a metro bisected by a state line, in a city with dozens of charters, in a school district state lawmakers intentionally kept small. This is a place where the quality of education often depends on parents’ ability to navigate a frustratingly complex system. 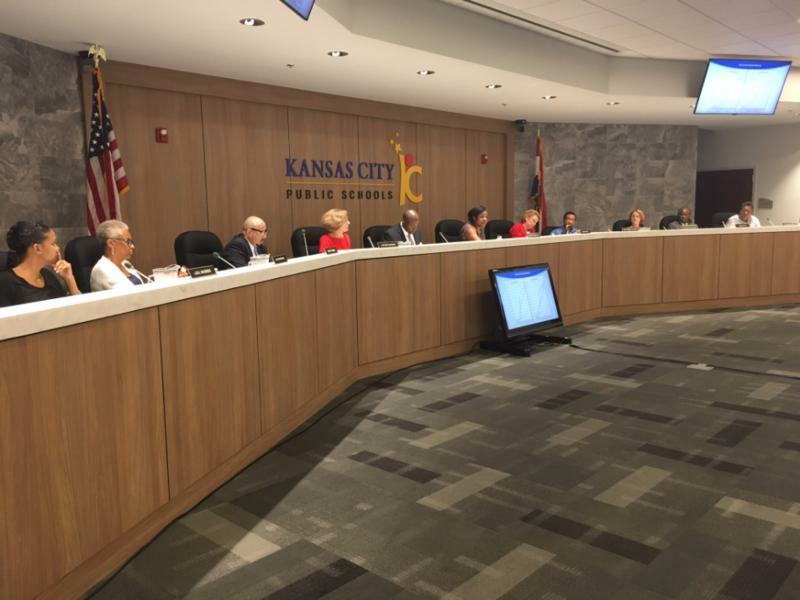 The Kansas City Public Schools Board of Education is preparing to take a public stance on the rapid expansion of charters. "We recognize as a board the need to create one voice around schools of choice or charters in Kansas City," said Jennifer Wolfsie, kicking off the conversation at the board’s executive session Wednesday evening.